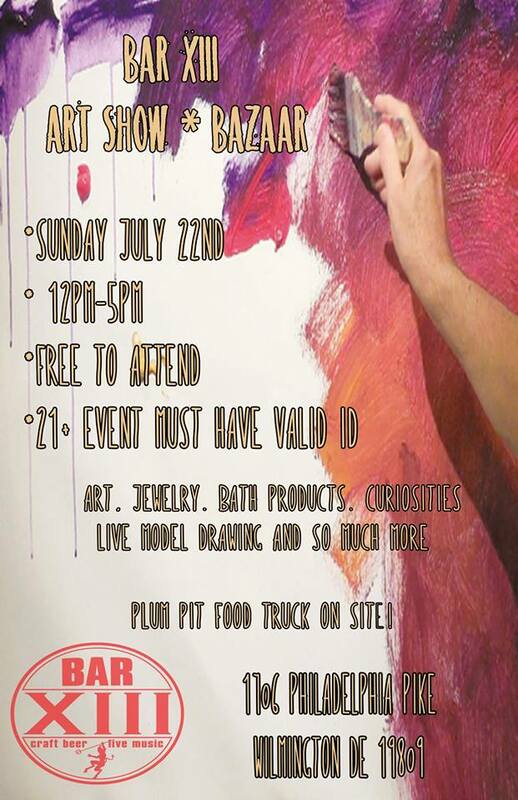 Join us for a day filled with art, good people, good food and damn good drink specials! The show will be from 12pm-5pm Sunday July 22nd. Free to enter! This is a 21+ event only so please have your Valid ID with you. 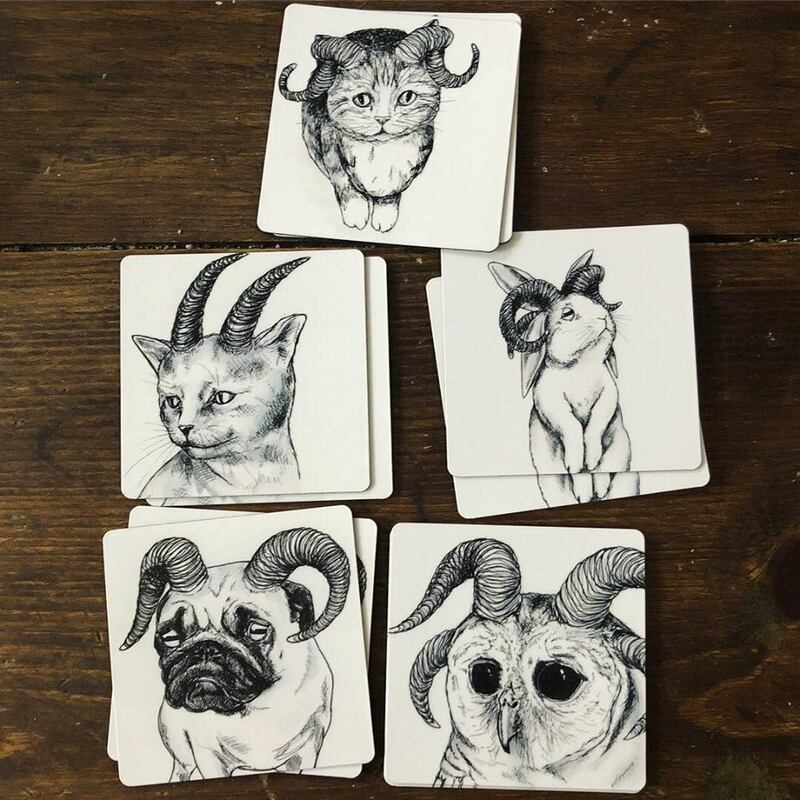 Jewelry, Art, Oddities & Curiosities, Live Model Drawing & so much more! 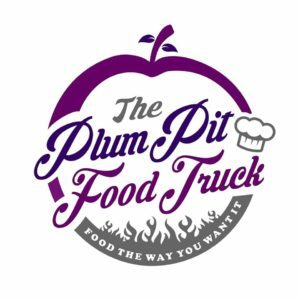 Plum Pit Food Truck will be onsite so come hungry! This event is being hosted by two of our lovely artists and bartenders. Ashley Mess and Heather DeLuca. 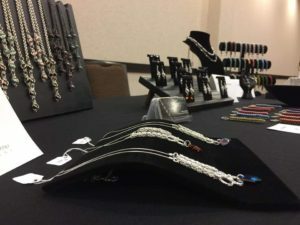 They’ve put in a lot of hard work to bring some really unique vendors and models to this event. Here is a highlight of some of what you can expect this Sunday. 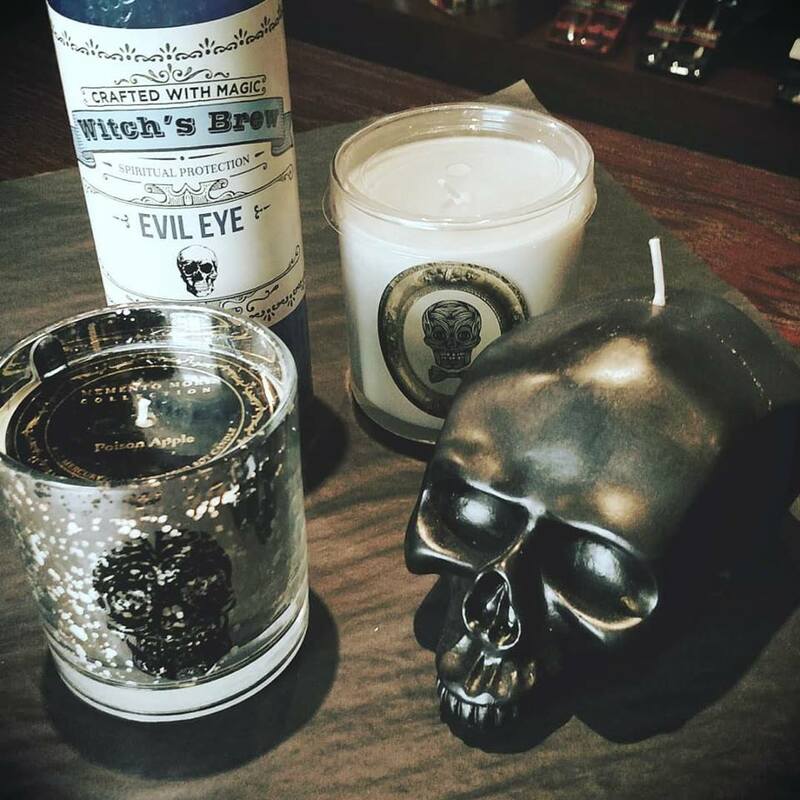 The Candle Parlour is a small candle shop in Claymont, DE specializing in vintage, elegant, historical, and gothic candle products. We began as a single candle brand (Werther & Gray) and are now taking the leap into a brick and mortar shop with a variety of brands and product types. Visit us in person or order online at www.candleparlour.com! Meet Our Live Drawing Models! 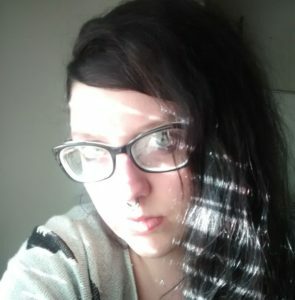 Taylor Vitelli is a lover of all things dark and unique with a soft spot for the horror genre. Taylor started amateur modeling in high school and progressed to working with artists of all kinds. The first time she was inspired to become a muse was after seeing creature actors Doug Jones and Javier Botet model as Abe Sapien and Mama respectively; “The shapes and fluidity they create with their bodies is extraordinary, I knew I wanted to do that too.” Her inspiration for art comes from the works of Guillermo Del Toro, Marilyn Manson, and H. R. Giger. 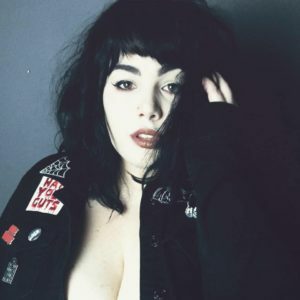 Some of her favorite visuals include Dracula, The Phantom of the Opera, Pans Labyrinth, and The Mummy. Missamerika is an enigma wrapped in a riddle wrapped in bacon and baked at 425. She’s an artist and small business owner out of Philadelphia. When she’s not taking off her clothing in front of perfect strangers, she’s running Big Trouble fashion, being a dog mom, and wondering where she left her car keys. Tim Day! He’ll have a table full of musical equipment/instruments/etc and I know a ton musicians out there who should come check it out! These are just a few examples of what you’ll find at Tim’s table! Aluminiferous Designs! Melissa is a returning artist from our last art show and makes beautiful chainmaille jewelry! Make sure to stop by her table! Luna Witch Boutique! Shes no stranger to vending Bar XIII Delaware events! 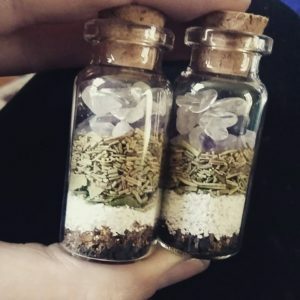 Shes got all your witchy and horror accessory needs and much, much more! Allison Gretsuk!! She’ll have framed and unframed prints and originals of her creepy (but still adorable) critters! Pieces run from $5-$15 depending on size and frame options! Heather Warr is the Fire Geisha, a licensed massage therapist with over a decade of experience who has harnessed the power of fire to both stimulate the senses and to promote healing and balance! In between setting everyone up, taking pictures, telling everyone to tip their lovely bartender, Heather DeLuca, and making sure everyone grabs a bite to eat from Plum Pit Food Truck, I’ll also be selling some of my work! I’ll have wall hangings, candles, prints, bath salts and more! No Replies to "Bar XIII Art Show + Bazaar RETURNS! This Sunday."